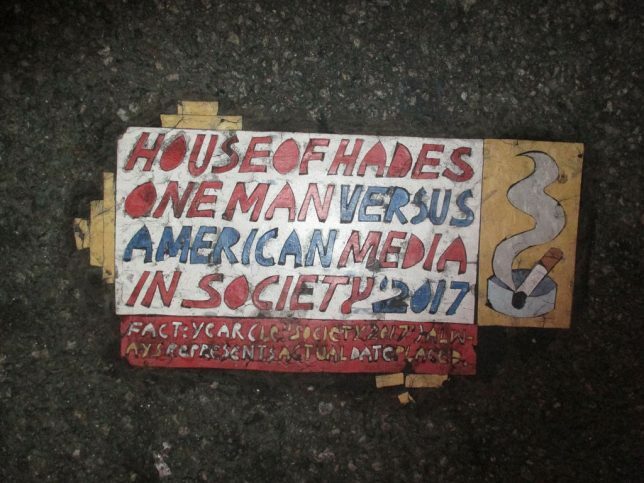 Some of the most visually appealing House of Hades tiles are those with no text messages besides the artist’s nom de plume. The above examples were snapped by Flickr member Brecht Bug in October of 2009 at 4th Avenue and 12th Street, and in December of 2009 in front of the Pearl Paint art supplies store on Mercer near Canal Street. 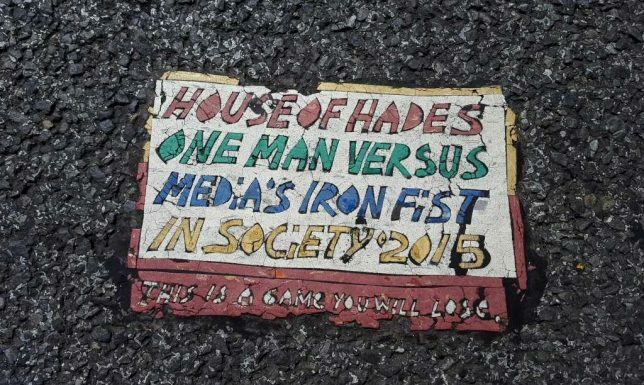 House of Hades mosaic tiles can be complex and elaborate – where does the artist find the time to craft these distinctive works of street art? 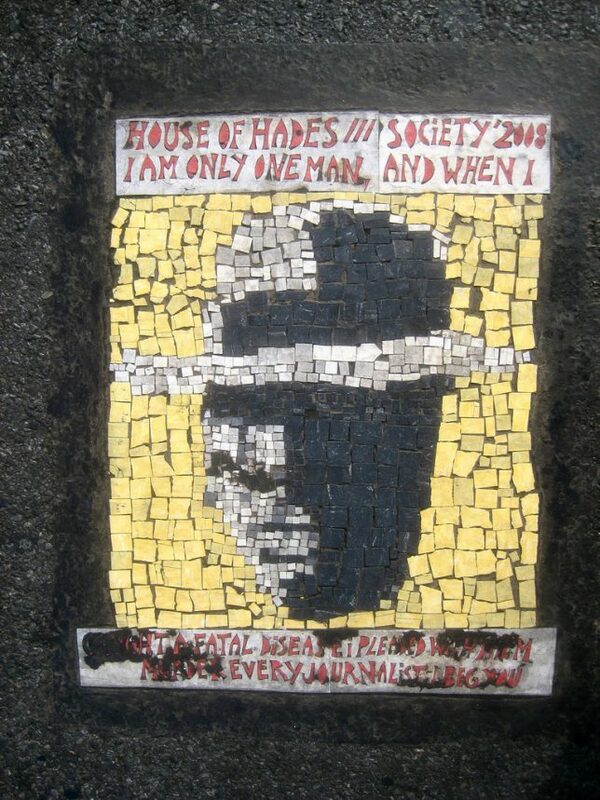 One of the largest mosaics, installed at 26th & 8th Avenue, reads “House of Hades III society 2008, I am only one man, and when I caught a fatal disease I pleaded with them. Murder every journalist, I beg you”. Dude, harsh. Almost a decade later, House of Hades is still going strong – they cured the cause, but not the symptom? Today NYC, Tomorrow The World? 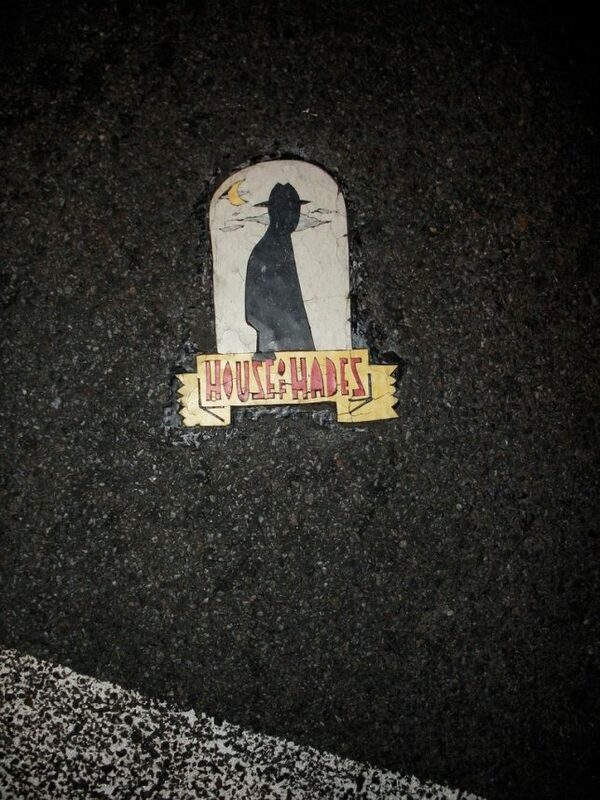 The only non-NYC House of Hades tile we’re featuring here comes from, of all places, Tokyo, Japan. “Not only is this an (apparently rare?) 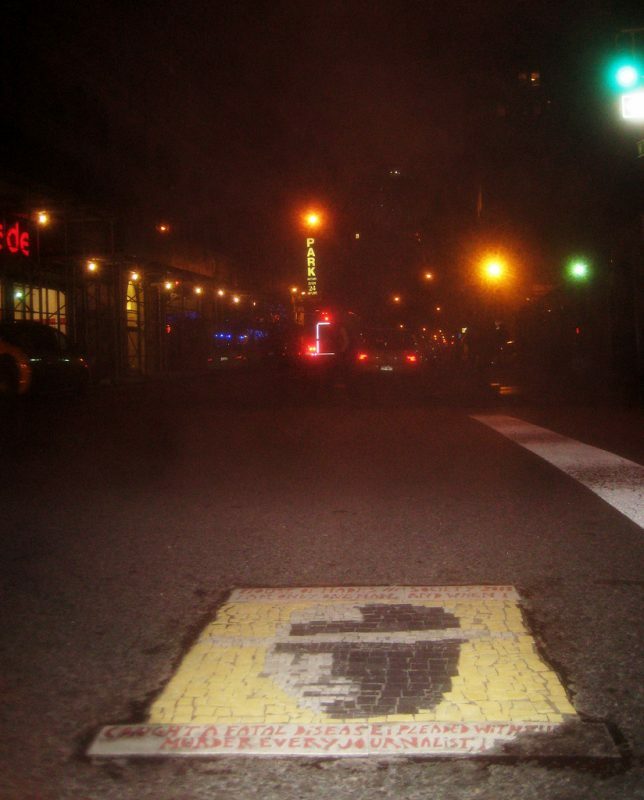 international sighting,” states photographer and Reddit member KedaseDerragar, “but it’s sitting on some prime real estate, embedded in the southeast corner of the perpetually bustling Shibuya scramble crossing, near Shibuya Station and the popular Hachiko meeting spot. I haven’t got a clue as to how they managed to lay it without anyone interfering, but I guess whoever did it just couldn’t resist making their mark on one of the busiest and most famous crossings in the world.” Kimono my House of Hades? It’s more likely than you think.